Xiaomi India recently announced the opening of a new facility in India strictly dedicated to making its new power bank, the Mi Power Bank 2i. Now, it appears that a new smartphone specifically made in India and for the Indian audience, will be launched very soon. In the tweet, it is visible that Xiaomi is clearly targeting the Indian audience with a smartphone that will be a part of its ‘Make In India’ project. So far, most of the smartphones from Xiaomi that launch in India are first launched in China and then renamed for the Indian audience and unveiled in India. The recently launched Xiaomi Mi A1 was also just the Xiaomi Mi 5X which was launched in China but, with stock Android OS. Xiaomi could launch a smartphone under the Rs 5000 bracket which will compete with the likes of other Indian brands. This new phone could even be the Redmi Note 5 which will make sense, as the Redmi Note 4 has been the company’s most successful smartphone in India.The Redmi Note 5 already has a lot of anticipation in the Indian market and if the phone is a part of the company’s ‘Make In India’ project, then it will increase the Redmi Note 5’s desirability even more. Xiaomi has already launched about 8 devices in India so far, and in a recent chat with Mr. Manu Kumar Jain, VP of Xiaomi, he said that the company is satisfied with the products it has in all the price segments. What is missing however, is a phone made in India, and this could be Xiaomi’s entry to that smartphone market. According to a recent leak of the Xiaomi Redmi Note 5, the Redmi Note 5 will have Snapdragon 625 chipset. The phone also has a 5.99 inch display with a very 2017-like 18:9 ratio and Full HD+ (2160 x 1080 px) resolution. The phone shows 54GB of storage available, meaning that the variant in question here is the 64GB unit. There is at least one camera with a 12 MP sensor and the smartphone runs on Android 7.1.2 Nougat. 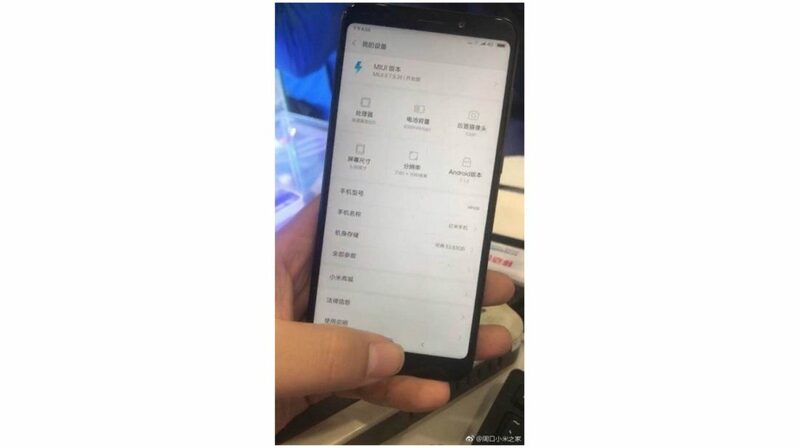 The device appears to be powered by a 4000 mAh battery and due to thin bezels, the fingerprint sensor is placed at the back of the phone, much like the Redmi Note 4.